Before his performance, Karin Weissenbrunner will talk with Martin Tétreault about his work as a turntablist in the experimental and improvised music scene since the 80s. Coming from the visual arts, Tétreault uses the vinyl record as a material thing. He composes new topographies and surface structures, resembling Fluxus artist Milan Knížák’s Destroyed Music objects or Christian Marclay’s cut-up records. While explaining his bricolage practice with the phonographic medium, Tétreault will directly demonstrate the sonic results of his preparations, which contributes to the understanding of the remarkable interdependency between the electro-magnetic sound and the visual and tactile qualities of the modified records. 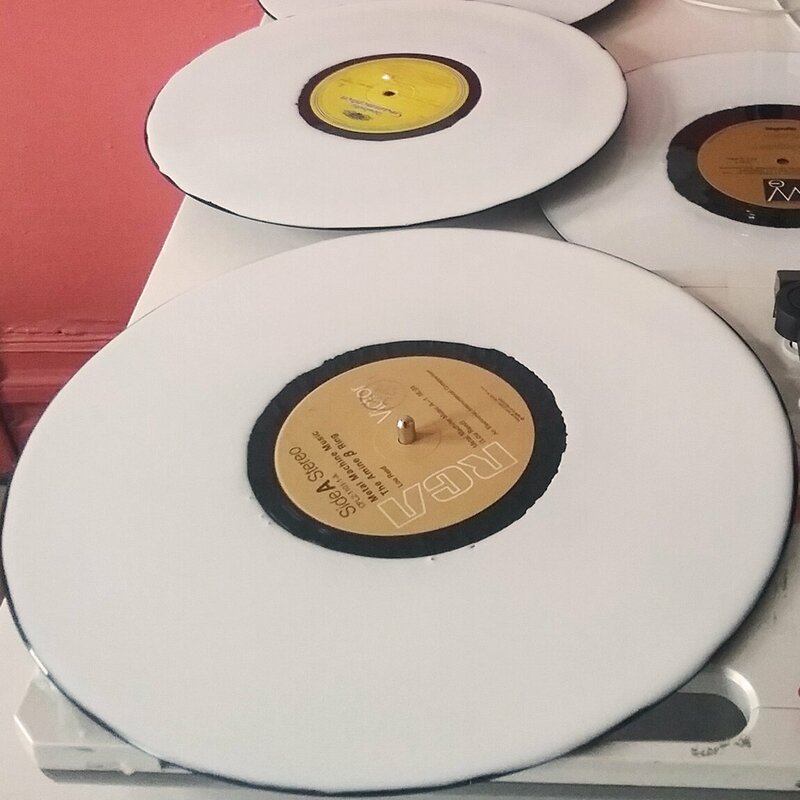 Karin Weissenbrunner studied Experimental Turntablism practices in her PhD project at City, University of London featuring contemporary turntable artists such as Joke Lanz, Graham Dunning and Vinyl -terror & -horror.